This modern-day redlining persisted in 61 metro areas even when controlling for applicants’ income, loan amount and neighborhood, according to a mountain of Home Mortgage Disclosure Act records analyzed by Reveal from The Center for Investigative Reporting. It found a pattern of troubling denials for people of color across the country, including in major metropolitan areas such as Atlanta, Detroit, Philadelphia, St. Louis and San Antonio. African Americans faced the most resistance in Southern cities — Mobile, Alabama; Greenville, North Carolina; and Gainesville, Florida — and Latinos in Iowa City, Iowa. 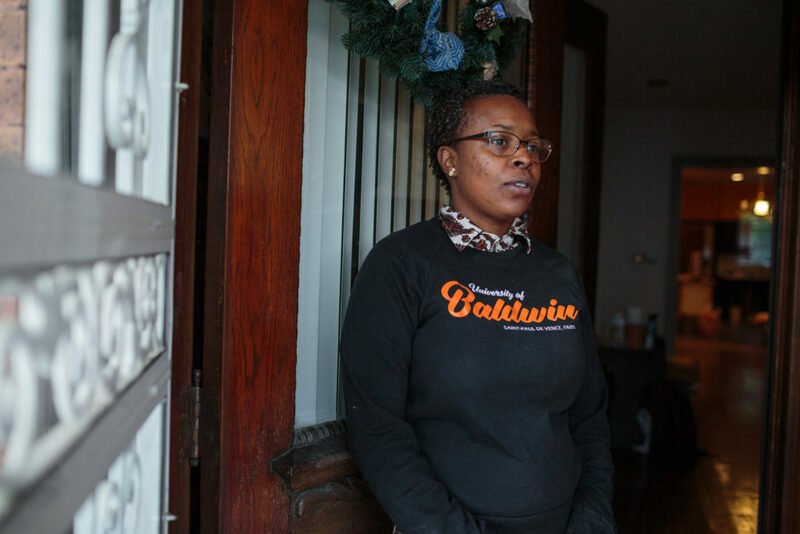 “I had a fair amount of savings and still had so much trouble just left and right,” said Rachelle Faroul, a 33-year-old black woman who was rejected twice by lenders when she tried to buy a brick row house close to Malcolm X Park in Philadelphia, where Reveal found African Americans were 2.7 times as likely as whites to be denied a conventional mortgage. The analysis — independently reviewed and confirmed by The Associated Press — showed black applicants were turned away at significantly higher rates than whites in 48 cities, Latinos in 25, Asians in nine and Native Americans in three. In Washington, D.C., the nation’s capital, Reveal found all four groups were significantly more likely to be denied a home loan than whites. The disproportionate denials and limited anti-discrimination enforcement help explain why the home ownership gap between whites and African Americans, which had been shrinking since the 1970s, has exploded since the housing bust. It is now wider than it was during the Jim Crow era. Lenders and their trade organizations do not dispute the fact that they turn away people of color at rates far greater than whites. But they maintain that the disparity can be explained by factors the industry has fought to keep hidden, including the prospective borrowers’ credit history and overall debt-to-income ratio. They singled out the three-digit credit score — which banks use to determine whether a borrower is likely to repay a loan — as especially important in lending decisions. “We are committed to fair lending and continually review our compliance programs to ensure that all loan applicants are receiving fair treatment,” Boston-based Santander Bank said in a statement. Reveal’s analysis included all records publicly available under the Home Mortgage Disclosure Act, covering nearly every time an American tried to buy a home with a conventional mortgage in 2015 and 2016. It controlled for nine economic and social factors, including an applicant’s income, the amount of the loan, the ratio of the size of the loan to the applicant’s income and the type of lender, as well as the racial makeup and median income of the neighborhood where the person wanted to buy property. Credit score was not included because that information is not publicly available. That’s because lenders have deflected attempts to force them to report that data to the government, arguing it would not be useful in identifying discrimination. In an April policy paper, the American Bankers Association said reporting credit scores would be expensive and “cloud any focus” the disclosure law has in identifying discrimination. America’s largest bank, JPMorgan Chase & Co., has argued that the data should remain closed off even to academics, citing privacy concerns. 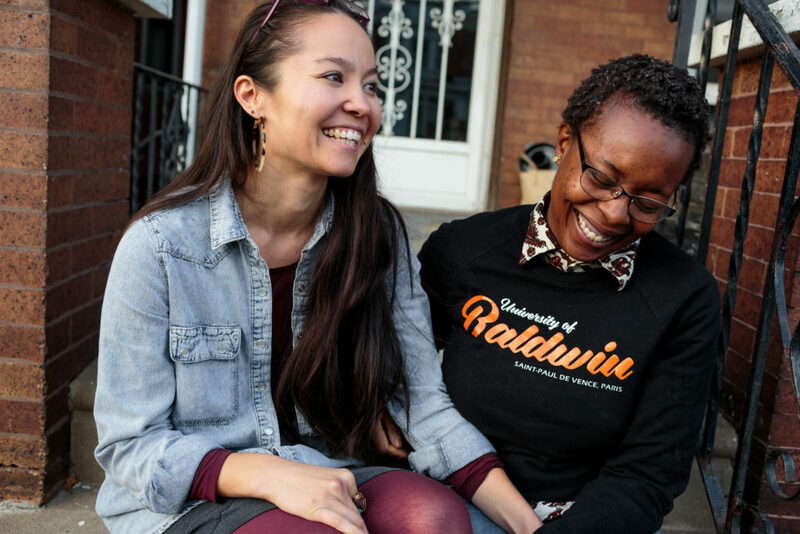 Philadelphia was one of the largest cities in America where African Americans were disproportionately turned away when they tried to buy a home. 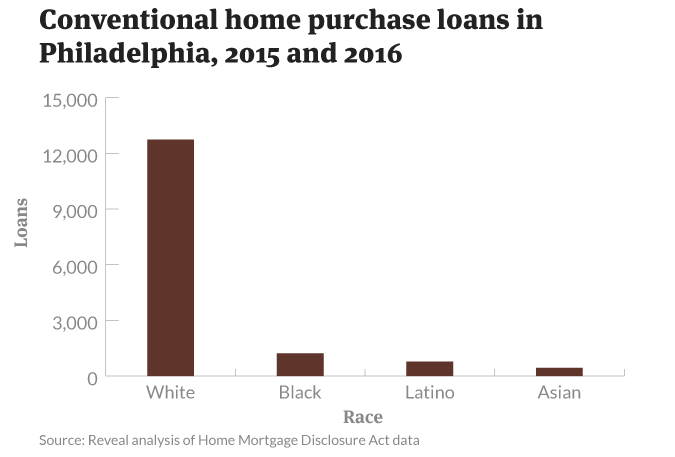 About the same number of African Americans and non-Hispanic whites live in the City of Brotherly Love, but the data showed whites received 10 times as many conventional mortgage loans in 2015 and 2016. Banks also focused on serving the white parts of town, placing nearly three-quarters of their branches in white-majority neighborhoods. Reveal’s analysis also showed that the greater the number of African Americans or Latinos in a neighborhood, the more likely a loan application would be denied there — even after accounting for income and other factors. “I’m sorry,” broker Angela Tobin wrote to Faroul in an email. Faroul’s contract income wasn’t consistent enough, she said. So Faroul got a full-time job at the University of Pennsylvania managing a million-dollar grant. But that still wasn’t enough. 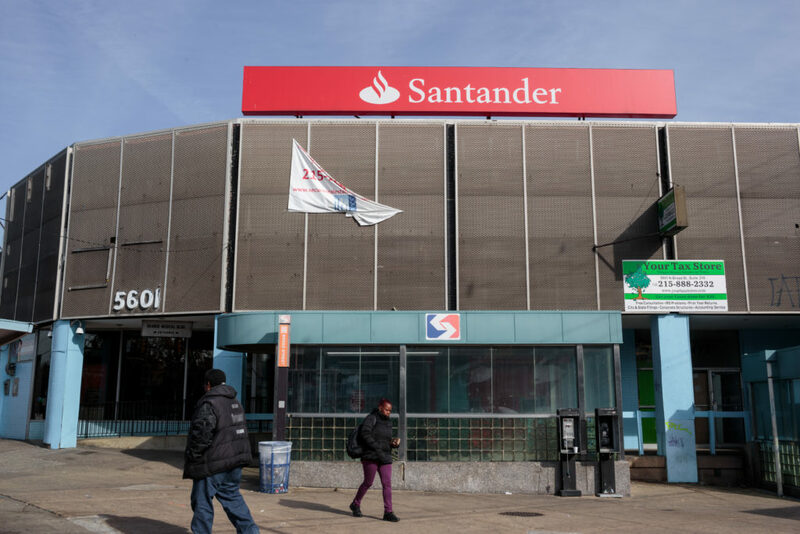 When she tried again a year later, this time at Santander Bank, a Spanish firm with U.S. headquarters in Boston, the process dragged on for months. Her loan officer kept asking for new information, she said — or sometimes the same information again. By this time, Faroul had been trying to get a mortgage for over a year, and the process itself was damaging her credit. Every time a lender pulls a hard inquiry on a credit report, the score goes down to guard against people who are trying to take on a lot of debt. “They had done so many hard pulls that my credit score had dropped to 635,” she said. Then, an unpaid $284 electric bill appeared on Faroul’s credit report. It was for an apartment she didn’t live in anymore. She paid the bill right away, but the bank said it couldn’t move forward. Civil rights groups and real estate professionals said Faroul’s experience follows a familiar pattern of discrimination by banks and mortgage lenders that has kept people of color from building wealth. “It’s one thing after another. It’s like pulling layers off an onion,” said Arlene Wayns-Thomas, president of the Philadelphia chapter of the National Association of Real Estate Brokers, which represents African American real estate professionals. Wayns-Thomas, who has been selling real estate for 30 years, said her black clients are treated differently by lenders. “The things that happen behind the scenes is what’s disturbing,” she said. For Faroul, things suddenly took a turn for the better after her partner, Hanako Franz, agreed to sign on to her loan application. At the time, Franz — who is half white, half Japanese — was working part time for a grocery store. Her most recent pay stub showed she was making $144.65 every two weeks. Faroul was paying for her health insurance. “That’s not what happened,” she said and abruptly hung up. A statement followed from Philadelphia Mortgage Advisors’ chief operating officer, Jill Quinn. Reveal’s analysis of lending data shows that nationally, Santander turned away African American homebuyers at nearly three times the rate of white ones. The company did not address that disparity in its statement but said it was more likely to grant a loan application from an African American borrower than five of its competitors. Lending patterns in Philadelphia today resemble redlining maps drawn across the country by government officials in the 1930s, when lending discrimination was legal. 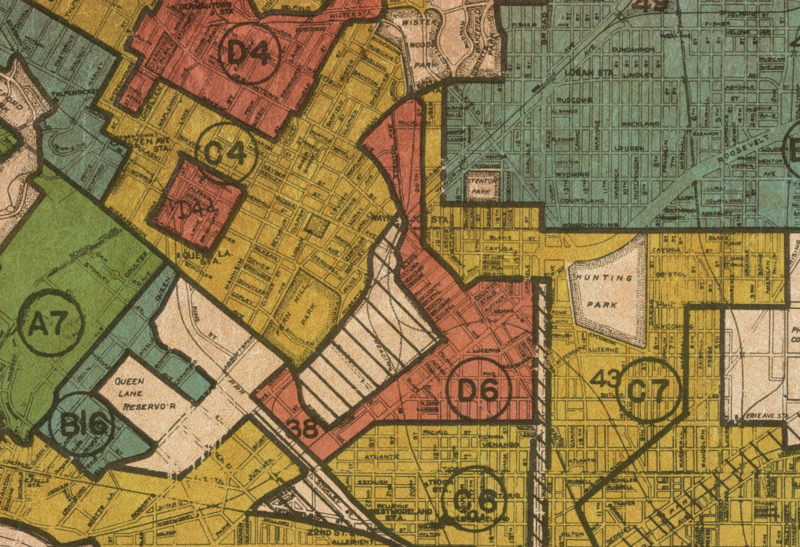 Back then, surveyors with the federal Home Owners’ Loan Corporation drew lines on maps and colored some neighborhoods red, deeming them “hazardous” for bank lending. Leading causes of risk, according to government officials, included the presence of African Americans or immigrants. This practice has been outlawed for half a century. And for the last 40 years, banks have had a legal obligation under the Community Reinvestment Act to solicit clients — borrowers and depositors — from all segments of their communities. But in many places, the law hasn’t made much difference. When you combine home purchase loans, refinancing and home equity lines of credit, banks were more likely to deny a conventional loan application than grant it in more than 40 percent of Philadelphia. People of color were the majority in nearly all those neighborhoods. “You’re killing us here,” said Cindy Bass, a member of the Philadelphia City Council, who worked for a mortgage company before entering politics. 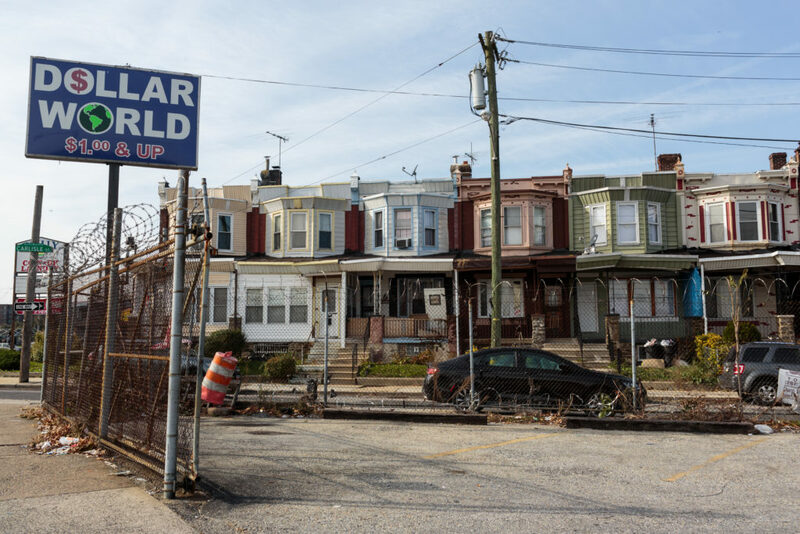 The data shows banks have frozen out borrowers in much of her district — including Nicetown, a North Philadelphia neighborhood where boarded-up row houses dot the landscape. Today, the economic recovery largely has bypassed Nicetown. Blight is a major concern. Some of the vacant homes, empty for years, have attracted squatters. Although it’s just a few blocks from Temple University Hospital, banks and mortgage brokers largely stay away. Lenders have been particularly stingy when it comes to home improvement loans. From 2012 to 2016, they made 67 home improvement loans here and denied 315. 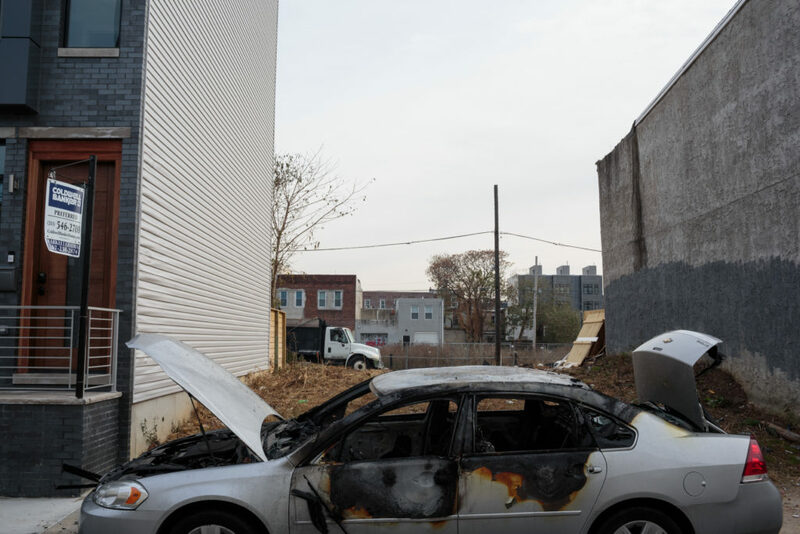 “It creates this cycle where properties fall into dilapidation for a long period of time,” said contractor Eric Marsh Sr., 48, whose family has lived in Nicetown for three generations. Marsh started his own construction business “because I saw dilapidation and empty houses,” he said, and wanted to help. But because banks rarely lend here, there’s no capital to improve the neighborhood. So Marsh gets most of his jobs in more affluent sections near the center of town. It’s not only historically redlined areas that suffer from a lack of credit. Some neighborhoods that were predominantly African American decades ago have since gentrified and are now majority white. Today, they benefit from a large number of home mortgages from banks. Other neighborhoods that experienced white flight after World War II have become home to a substantial black middle class. And in those neighborhoods, banks are more likely to turn away borrowers. Four miles from Nicetown, toward the suburbs near the Awbury Arboretum, the homes of Germantown are set back from the street behind garden patios and beautiful stone facades. This area wasn’t redlined in the 1930s. Government officials colored it green — “the best” — and blue, which meant “still desirable,” and told banks to lend here. Back then, most residents of Germantown were white. Today, this part of Philadelphia is majority African American, and the homes are occupied by middle-class workers — teachers, nurses and union craftsmen. Yet in every year from 2012 to 2016, banks denied more conventional loans of all types than they made in Germantown.